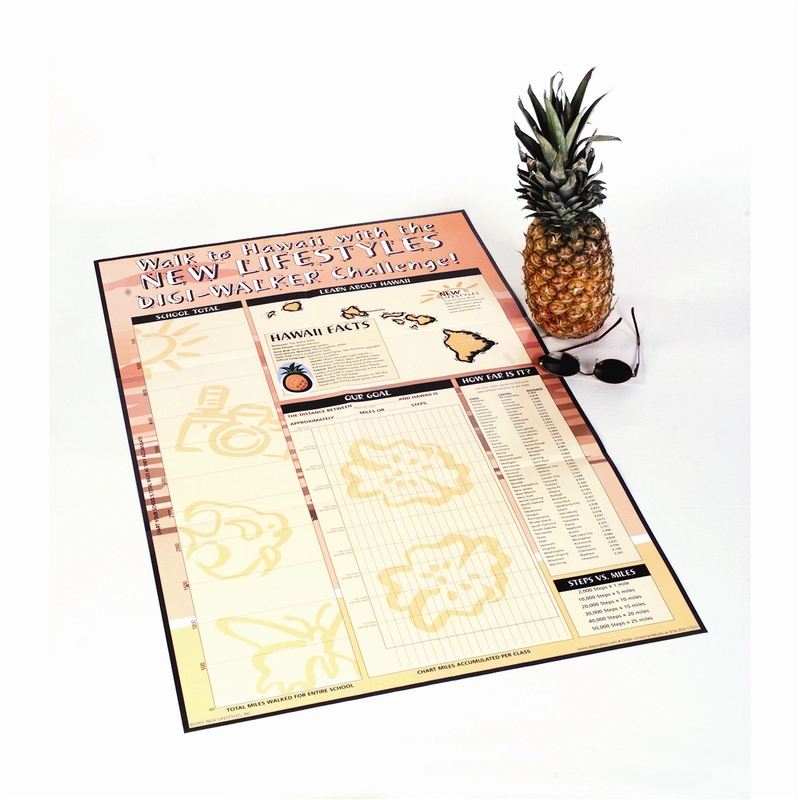 Chart dimensions: 22" x 36"
This easy-to-adapt chart includes the distance to Hawaii from each U.S. state capital. 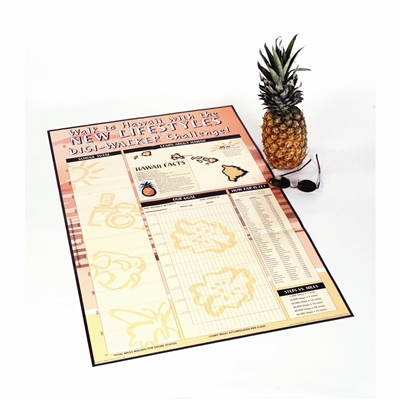 For those who want to be very accurate, determine the distance from your town or city to the state capital and combine those miles with the provided distance when setting your goal. Geared for schools only. Includes fun facts about Hawaii.